Travelers: adults, children of elder age category. 13:15-14:00 Meeting at the airport. Seating on jeeps. 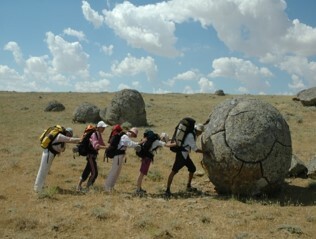 17:30-18:20 Visit field of globular concretions Torysh (30 km). 18:20-19:00 Drive to Kokala valley (20 km). Overnight at Kokala valley at tents. 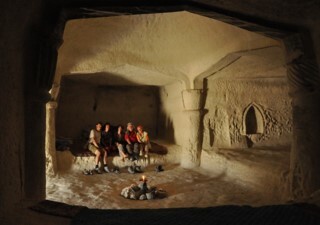 08:00 – Depart via Sherkla mountains (15 km) to Tuzbair (180 km). 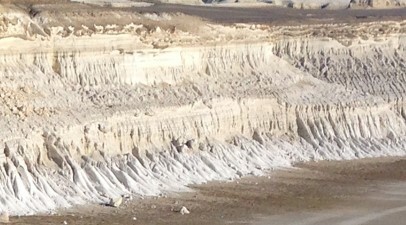 08:00-10:00 Short track on Tuzbair (500m), walk on Tuzbair Salt lake (around 1 km). 13:30 Lunch on the way. Arrival to Beket Ata. Panoramic viewing of Beket Ata. 15:00 Depart to Boszhira – first panoramic platform (80 km), lowering to the second panoramic platform (15 km), lowering to the third panoramic platform (40 km). Overnight at Boszhira at tents. 08:00 Short track (2 km). Driving on valley of Boszhira. Visiting Bokty mountain (40 km). Lunch. 18:00 Arrival to Aktau city. Accommodation at hotel.Dinner at hotel. 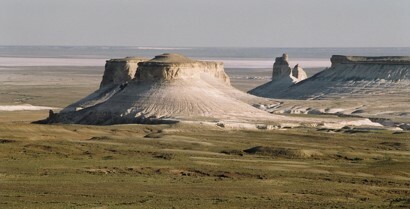 10:00-14:00 Sight seeing in Aktau city. Visiting: City museum, mosque, orthodox church, republic square, the main city promenade, monument (symbol) of the city. Meeting with a driver and guide. Transfer to hotel for accommodation. 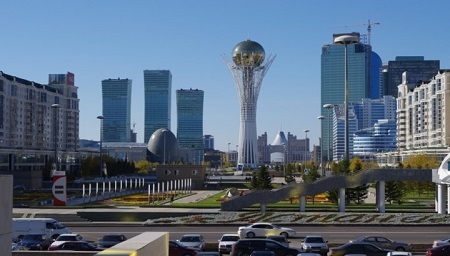 10:00-18:00 Sight seeing in Astana. Visiting old and new part of Astana: Norman Foster’s pyramid (Palace of Peace), Atameken (miniature map of Kazakhstan), Republic Square, Ak-Orda President Residence. oceanarium Duman, Culture Center of President. Bayterek tower, Museum of first President, Visit Khan Shatyr Shopping and Entertainment Center.